You can see in the photo above which one is the better photo. Both were taken with cellphones indoors at a restaurant. Of course, if you bring a camera the photos will turn out much better. If your cell phone takes great photos no need to bring both. Just make sure that whatever you bring has flash for indoors. Takes lot's of pictures! It's your prom, make it a night of memories with photos to look back on with friends at your 10 year reunion. Oh and don't forget to back them up as well. I lost all of my photos when my old laptop died , so I don't have any photos from my prom except for the ones the photographer took. The mini-mergency is not a must have because it may or may not come in handy. However, just having it there would be a good idea. You can probably find one at Ross for $3-5 in the beauty section. If you can't find one or the price is a bit up there, you can just make your own. 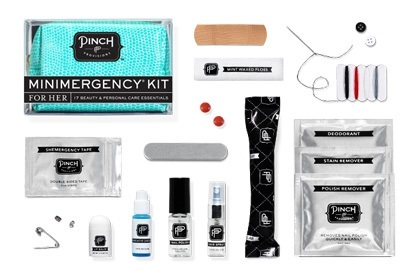 Most mini-kits include: hairspray, clear nail polish, nail polish remover, emery board, lipbalm, earring backs, clear elastics, mending kit, safety pin, Shemergency tape, stain remover, deodorant towelette, pain reliever, tampon, breath freshener, dental floss, and an adhesive bandage. Bringing touch up makeup will help keep you look flawless. 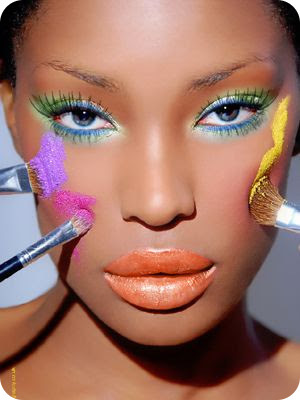 Example, powder and lip products will come in handy for those prom photos. Many people go on the dance floor and just wait till the line dies down or they just wait in line for the photos to get it over with. You will probably sweat and get oily while dancing as well, a blotting powder or sheet will fix that right up. Don't forget your lash glue! You never know when those little suckers will start loosening up at the corners and fall off! I recommend bringing a bag that has an optional strap. This way you will have your purse with you at all times. DO NOT leave it unattended. I say this because I know many people that thought their stuff was safe and in the end some of their items were stolen. A fold over clutch will hold more items =). If you're bag doesn't come with a strap you can just make your own chain strap. Trust me on this one.. bringing flats as a back up will be a life saver at the end of the night.. even mid-way through prom. No matter how comfortable your heels may be or how frequent you wear heels, you will want a pair of flats or sandals to change into. Many girls forget to bring them and just take off their heels and walk around barefoot (trust me the floor is not clean ladies!). The flats in the photos above are both fold-able. The one on the left can range from $11-15 but may have to be bought online, however, the one by Dr.Scholls range around $10-$12 and can be found in most stores. 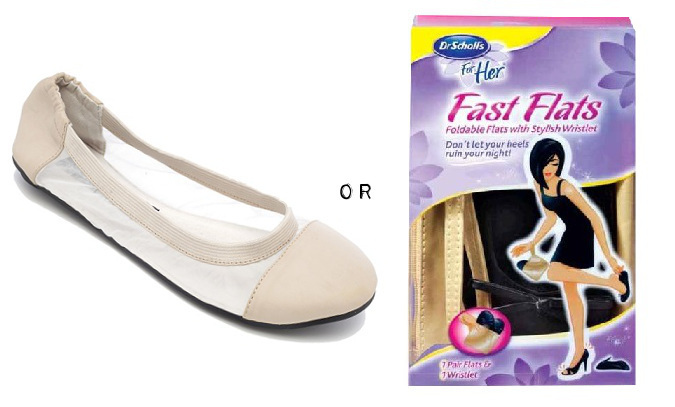 The Dr. Scholl flats will probably also fit more comfortably in your prom bag. If your prom location is somewhere you have never been to before and someone is driving, be sure to Google the location beforehand. Even if they do know where they're going, I say have your navigation on anyway. My partner at the time of my prom said he knew where and how to get to the location (we also had 2 other cars following us) and we got lost. Everyone was quite annoyed and we got there later than expected. So just have the location on your phone or printed out to save you some time. This is the fool-proof way to not get lost and to get to your prom on time. This is a MUST DO. Testing out your makeup and hair will be another life saver for your prom. You can try out many different looks and hair styles. Just be sure to take photos of each one at different angles. Then you can take a look at them and choose the look you like the most. 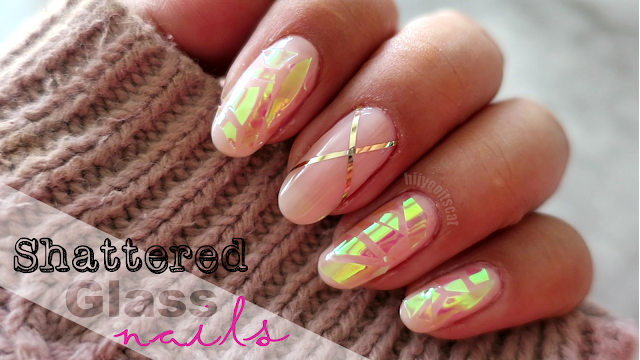 This is another step that will help you look flawless during your prom. Doing a trial run will also give you an indication of how long it will take you to get ready. This way you will be able to give yourself the proper amount of time to get ready on the actual day of prom. It's a night to remember, so make plans to do something with your friends after prom. Go to an after party or just head over to a 24hour restaurant and hang out with friends. Even if you're not going to prom, make plans with other people that are not going. Go karaoke or late night bowling, just have fun. ☑ Do try on many dresses! Who cares if you only have one dress in mind.. trying on the different kinds of dresses is the best part! Try on long dresses, short dresses, slim, poofy, mermaid... and try on different colors to find the one that looks best on you. How would you know if a dress and color doesn't look good on you if you don't try it on?! YOU WON'T, so just go try on all the dresses. Of course go with friends and/or family for a second opinion. As I stated above, do not leave your valuables unattended. I cannot stress this enough. Including and not limited to your camera, wallets, purse or phone. The only item I would say is okay to leave unattended may be your shoes and cover up. Honestly the amount of money you want to spend on your dress is up to you. However, I would recommend not spending more than $200. Even that is too much in my opinion. You can find a lot of beautiful dresses for an affordable price. If you live out here in Los Angeles, head down to the fashion district. They have many of the same dresses you will find online and in magazines for half the price. The best part?.. you can negotiate the price with them! Spend less and save the extra money for something else you really want. Don't get me wrong.. prom is fun and may be a night to remember but you also have your wedding day in the future. Now that is a dress you want to spend your money on ☻. You want to avoid using products with SPF. You are probably wondering "Why, what's the big deal?" Have you ever wondered why sometimes you get a white cast in flash photos? Why your face appears whiter than the rest of your body? 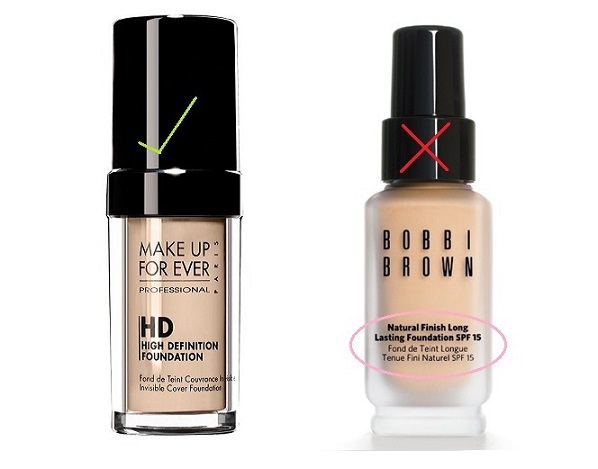 Take a look at your skincare and foundations, do they have any SPF in them? One of the reasons you get a white cast in flash photos when wearing SPF is because SPF reflects the light and makes you appear lighter. So just be safe and avoid them. 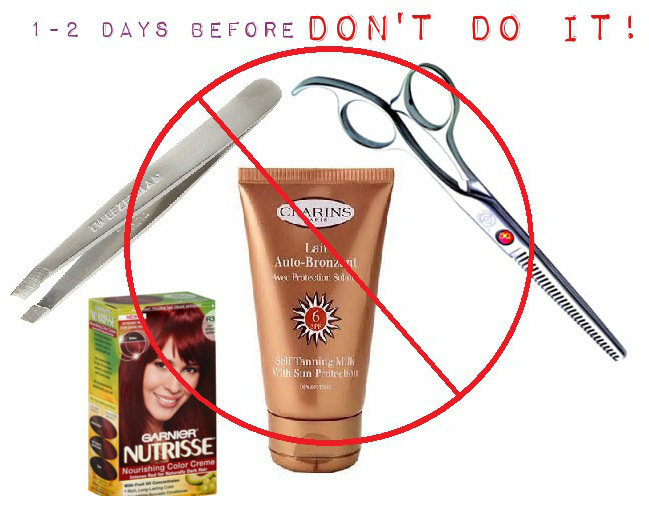 Don't try any new products that might jeopardize how you will look on your prom night. This includes tanning, facials, haircuts or colors, anything that is permanent or could cause a reaction on your skin. I know some people want a pretty tan for those photos or a facial to help your face glow but you never know how your skin will react. If you are going to do any of these treatments I recommend doing these treatments at least a week, maybe 3-4 days before the prom in case something goes wrong. This way if something does go wrong, then you will have enough time to fix it or if your skin reacts to something you have enough time for your skin to settle down. You don't want to put on too much makeup to the point where you are unrecognizable. There's a difference between the right amount of color and too many different colors (the photo above). There isn't anything wrong with the makeup in the photo shown above but I don't think it's appropriate for a formal (prom). Again, just like your dress, you decide how you want to wear your makeup. Just keep this in mind, you want to be able to look back at your photos and think "Whoa! I looked good" not "Omg! What was I thinking"
Enjoy your prom and avoid drama if possible. Prom should be about spending time with your friends and having fun. Just enjoy the night, be yourself and have fun!